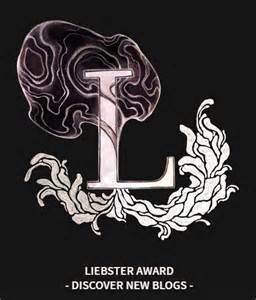 Thank you to https://fimnorawestcaw.wordpress.com/ for nominating me for the “Liebster Award.” I was very surprised to be nominated. I have just started blogging on a regular basis, since December 30, 2014. Everyone should check out Femnora’s blog. The title to her blog is Quantum Hermit. Her writing is beautiful, as she tells her stories through words and music. Fimnora has helped me out, trying to understand wordpress a little better. Thank you again, Fimnora for thinking of me. I accept this award with pride. 1. What song defines who you are, and would you share a YouTube link for it? 2. Which of your owns posts is your favorite, and why? “Can you smell the apple crisp?” This is my favorite post, because it reminds me of my Grandmother. 3. What is your most favorite quote from a movie? What is the movie? 4. If you could time travel, where would you go, and why? I would travel to Antioch, Ca., date August 16, 2003. So, I could be with my son Mark, before he died. Hopefully, to change the situation, so he would be here today. He would of been 30 years old this June. He passed away at age 18. 5. What is one moment you can remember which changed your life? Working on my first movie as a costume designer and going into Warner Bros Studio to pick out wardrobe. 7. What is your favorite genre of fiction? 8. Who or what encouraged you to become a writer? I was encouraged by my dreams. I have a movie theater inside my head. Sounds funny, huh… When I go to sleep I have vivid dreams, not just one dream, but double block buster features. I told myself, it’s time to write… Just write it out. Also, my dear friend Josh Gilbert is a brilliant writer. He would send me emails, that would make my jaw drop. He has such a way with words, that I can only inspire to write like him. My mother has also been a big encouragement. 9. What book have you read more than once? “Tithe” by Holly Black. It’s a modern fairy tale. 10. What other art form are you most interested in? 11. What prompt for blogging would you like to offer to Blogging U? 1. Thank the person who nominated you by tagging their original post to yours. 3. Nominate other bloggers who deserve this award. 5. Put these rules in your post. 6.Inform the bloggers you have nominated. 1) Who is your favorite painter or artist? 2) If you could live any where in the world, where would it be? And why? 3) How old where you, when you had your first crush? 4) Who is your favorite tv or movie star? 5) What was the first car you ever drove? 7) Do you want your blogging to take you to other writing avenues? 8) How many languages do you speak? 9) What is your favorite animal? 10) Do you believe in ghost, spirits or vampires? If so, why? 11) If someone gave you a box, what do you wish would be inside of it?